Munox SR are NCP-approved microbes for marine oil spills. MUNOX® SR is for rapid bioremediation of environmental contamination caused by surface spills of petroleum hydrocarbons. MUNOX® SR contains a highly-concentrated solution of strains of naturally-occurring organisms that were extracted from once-contaminated sites and isolated under controlled laboratory conditions. The organisms metabolize petroleum hydrocarbons and quickly convert them into carbon dioxide and water. These cultures are free of pathogens and there is no artificial mutation or genetic engineering involved. The organisms tolerate salinity up to 5%. MUNOX® SR may be used to clean petroleum hydrocarbons ranging from refined gasoline to weathered crude oil in many environments. Successful treatment requires only contact between the MUNOX® SR microbes and the petroleum hydrocarbon in the presence of moisture and oxygen. 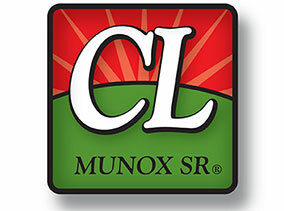 Because the product contains a high population of petroleum-degrading organisms, MUNOX® SR does not require additional fertilizer and aggressive cleanup begins immediately upon application. MUNOX® SR may be applied directly onto oil in wetlands, beaches and man-made structures by spraying onto the oily surface or by mixing into oily sand or soil. After application MUNOX® organisms provide a lasting environment for petroleum hydrocarbon destruction. MUNOX® SR formulation has also been approved and listed on the US EPA National Contingency Plan (NCP) approved products list.